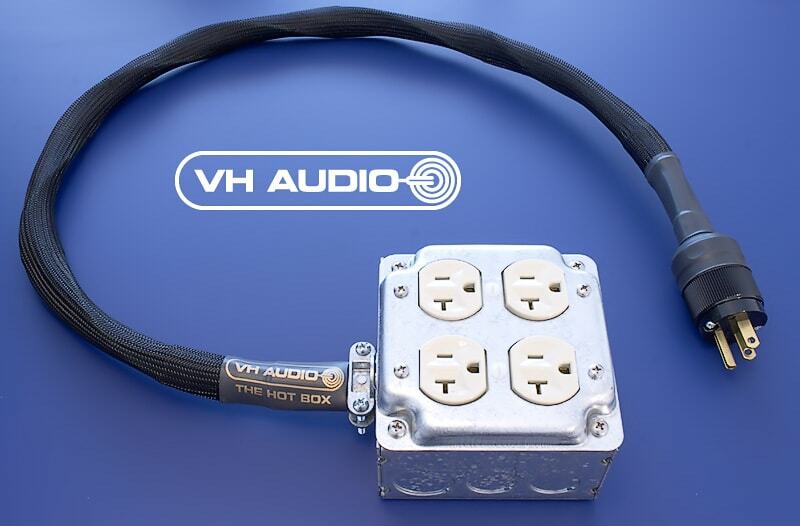 The VH Audio Hot Box was designed for those who need extra outlets, but don't have the ability or resources to install additional wall receptacles or dedicated circuits. Built like a tank, and is arguably the best performing pure outlet strip on the market. Now available with U.K. or Aussie style male plug. Furutech e-TP66 GOLD - $425.00 ea. Furutech e-TP66 RHODIUM - $475.00 ea. 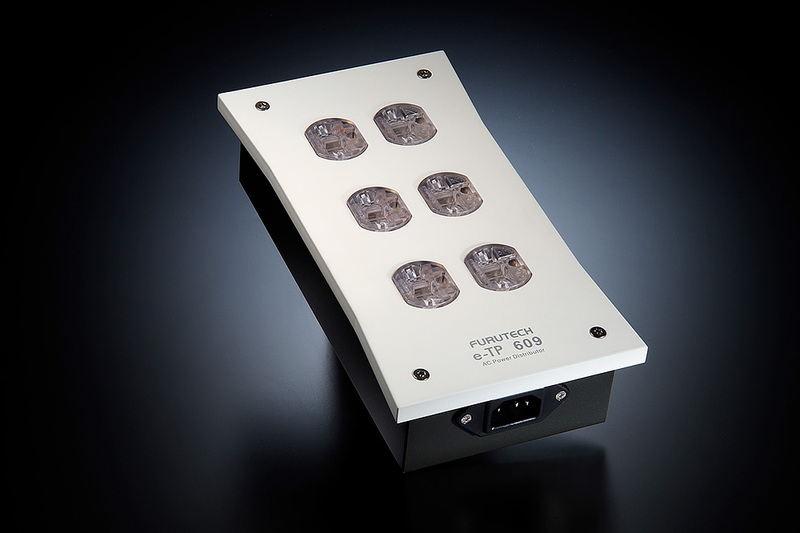 The Furutech e-TP66 Audiophile power outlet strip is Furutech’s updated version of the e-TP60, allowing a narrower, more streamlined footprint. The e-TP66 uses Furutech's μ-14 (14 AWG) wire to maintain low electrical resistance, and is star wired with either the Furutech FPX (R) or FPX (G) 20A high performance Rhodium (or Gold) plated receptacles to Furutech's FI-06(R) or FI-06(G) pure copper-based 15A IEC inlet. The Furutech FPX receptacles base metal features non-magnetic phosphor bronze conductors for stable, long lasting, optimized power transfer. 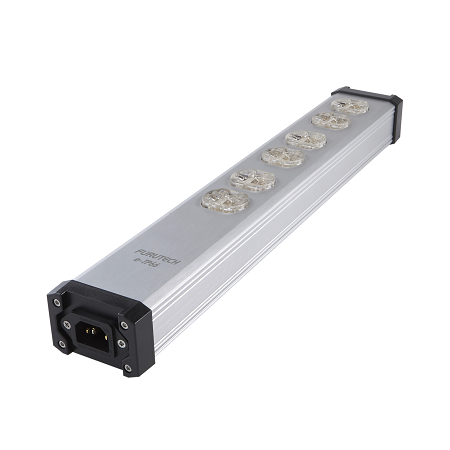 Dimensions: 16-3/8" L x 2-5/8" W x 1.8"
* A Schuko version of e-TP66 (e-TP66E) is available by special order only. Need more outlets than "The Hot Box" has? 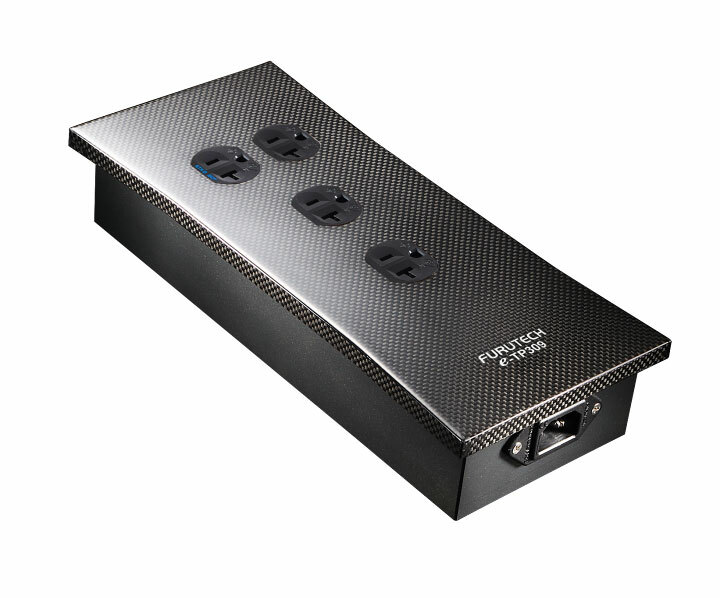 The Furutech e-TP60 (U.S.) and ETP-60e (Schuko) is a similar concept which delivers performance close to The Hot Box (when used with a Flavor 4), and has 6 outlets. Like an antenna receives radio waves, the e-TP60 utilizes "GC-303", in a non-contact way, effectively absorbing the electromagnetic waves of the internal fittings. This also avoids the degradation of audio quality that is common to traditional power filters as current is filtered through a series of passive components. The GC-303 is attached to the chassis of the e-TP60 using a special EPOXY resin, which won't come off and is absolutely safe. The chassis utilizes aluminum at aviation industry level to effectively shield externally induced noise (RFI). Lastly, the receptacles and IEC inlet used are Furutech's own, which assures you of outstanding quality. 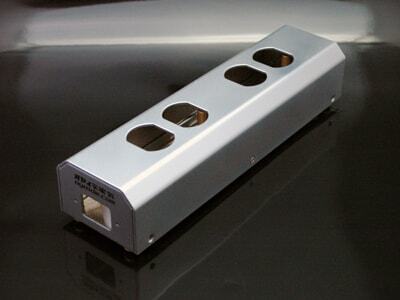 Furutech's other (larger) units are available by special order. On SALE for $1,999.99 ea. 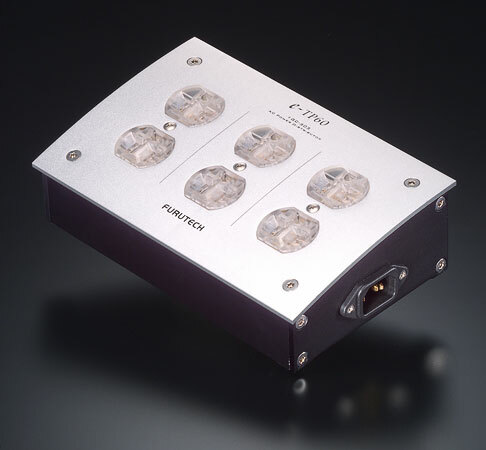 The Furutech e-TP309 is Furutech's best, pure, unfiltered power distributor with 4 outlets. Two single outlets are spaced further away from the main duplex outlet to accomodate larger AC connectors, or if you just need a bit more room to maneuver your cables around. Features Furutech's NCF (Nano Crystal Formula) GTX AC outlets with pure, solid copper conductors, as well as Furutech FI-09 IEC inlet, Furutech's axial dampening system that reduces vibrational energy, and the GC-303 EMI aborbing material. * This version will be replaced with a 6 outlet version in the future, and so VH Audio is offering a special 40% discount, while supplies last. Other than # of outlets, the new version will be identical to this one. On SALE for $899.99 ea. The Furutech e-TP609 is a straightforward, 6 outlet, star wired power strip, that uses no filtration of any kind. Arguably one of the best pure power strips on the market. 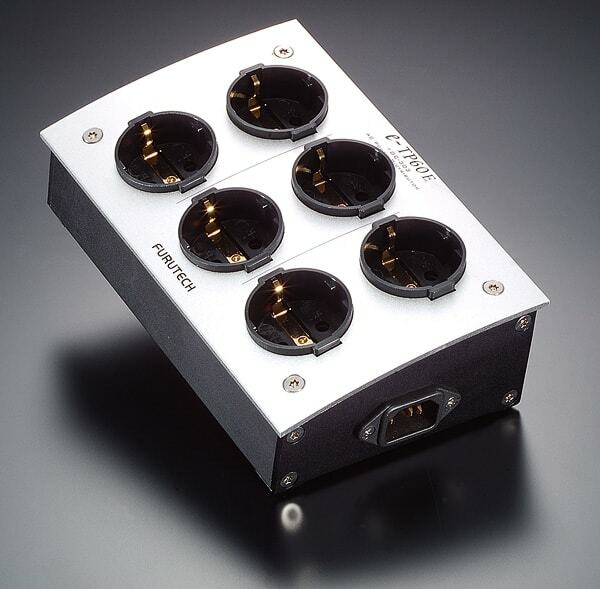 Features Furutech's FPX Rhodium outlets (won't scrape the plating from your male AC connectors), Furutech's patented axial locking system, Furutech'a top of the line FI-09 IEC inlet, as well as 12 AWG star wired internal wiring. Also uses Furutech's GC-303 coating to mitigate EMI absorption. Winner of the Absolute Sound "Product of the Year" award. 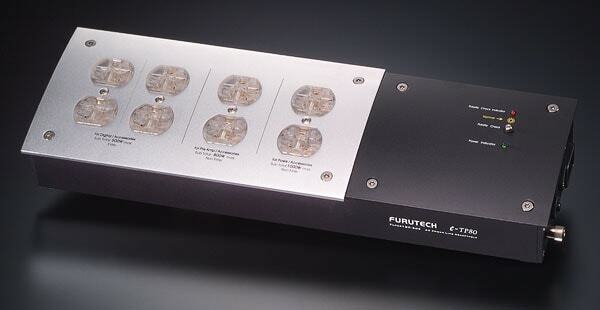 * This version of the Furutech e-TP609 will be replaced by an 'NCF' outlet version, at substantially higher MSRP. 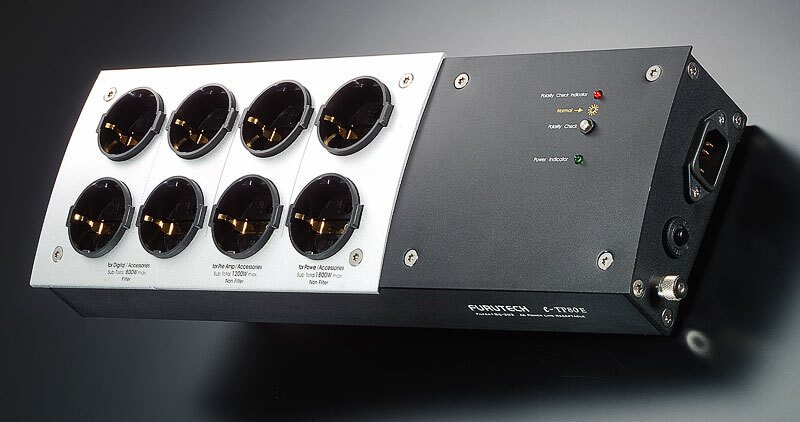 VH Audio is offering these units at a deep discount, while supplies last.